Home � D23 , Disney World News , Walt Disney Archives � D23 Presents The Disney Fanniversary Celebration In A Town Near You! D23 Presents The Disney Fanniversary Celebration In A Town Near You! Rarely Seen Film Clips, Photos, and Art Highlight the Roadshow Event, Which Will Tour the U.S. this Fall. 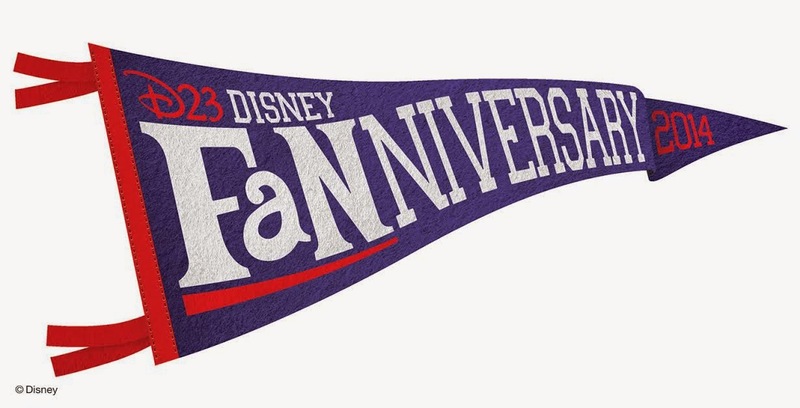 BURBANK, Calif. – May 7, 2014 – For the third year in a row, D23: The Official Disney Fan Club will hit the road with D23 Disney Fanniversary Celebration presented by Walt Disney Records The Legacy Collection. The live event will visit 11 cities across the U.S. to commemorate dozens of magical Disney milestones celebrating landmark anniversaries this year. Hosted by Disney archivists and the D23 Team, Fanniversary 2014 will revisit beloved theme park attractions, animated and live-action films, characters, TV series, and more than 90 years of Disney history including Donald Duck, the 1964–65 New York World’s Fair, Sleeping Beauty, Haunted Mansion, Disney’s Hollywood Studios, The Little Mermaid, and many more. The event, which runs approximately 105 minutes, will also feature the never-before-heard track “Evil Evil” from Walt Disney Records The Legacy Collection Sleeping Beauty and a demo recording from Walt Disney Records The Legacy Collection The Little Mermaid. Fanniversary events will be open to the public, with special admission prices for D23 Members. In addition, following each show, two rare items from the Walt Disney Archives will be on display for guests to see and photograph: a hat worn by Julie Andrews in Mary Poppins and a “Duckster” award. Created in 1952, this bronze-colored award in the image of Donald Duck honored those who made significant contributions to Disney over the years. Both Walt Disney and Donald Duck himself were among the recipients of this unique prize. · August 9: Burbank, Calif.
· September 26: Washington, D.C.
For times and locations, please visit D23.com. More details about D23 Disney Fanniversary Celebration presented by Walt Disney Records The Legacy Collection can be found at D23.com/Events. 0 comments to "D23 Presents The Disney Fanniversary Celebration In A Town Near You!"